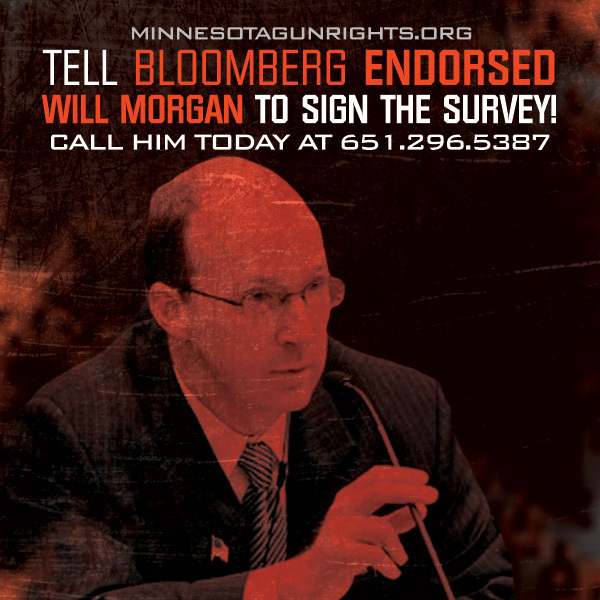 As we prepare to run the most aggressive program in our history, hammering on anti-gunners all over Minnesota for voting for Bloomberg’s Universal Gun Registration and killing Constitutional Carry legislation, we’ve been getting questions from you as to what districts we’re choosing and why. Others want to know why we can’t jump into races in their part of Minnesota. I get it, when a gun-grabber arrogantly tries to clamp down on my freedoms I want to go after him wherever his district is! But the board has solid reasons for focusing our resources where we have – and I want to share some of those with you – in hopes that you’ll agree with our reasoning and help give us the resources we need to advance the 2nd Amendment here in Minnesota. It’s no secret the biggest attacks on law-abiding gun owners in Minnesota have for the past two years originated in the Senate. Committed anti-gunners in the Senate have worked diligently to advance legislation that would destroy due process for gun owners in Minnesota by allowing for gun confiscation by judicial decree. Senator Sandra Pappas used her position as President of the Senate to kill Constitutional Carry when it came to the floor for a vote. And notorious anti-gun Senator Ron Latz, Bloomberg’s chief lieutenant in the Minnesota Senate, worked overtime last May to advance Bloomberg’s number one goal for Minnesota, Universal Gun Registration. In fact, only hours after the Orlando shootings this past June, Senator Latz vowed to continue spearheading Bloomberg’s agenda in 2017! Predictably, even though the attack was carried out by a radicalized Islamic terrorist – who called 911 dispatchers during the massacre to declare allegiance to ISIS – Latz and others in the Senate want to punish law abiding gun owners in Minnesota by forcing gun owners into a database program that would track, trace and register every gun and gun owner. Over in the House, Senator Latz enjoys kindred spirits for his radical anti-gun agenda in Representatives Debra Hilstrom and Tina Liebling, both widely expected to win their re-election campaigns. But gun owners face a different kind of danger in the House, and it takes some explaining to flesh out. You see, gun owners stormed the polls in the 2014 elections and kicked a bunch of politicians out after the massive gun-control push in 2013. As a result, the majority party switched in January of 2015 to a new “pro-gun” leadership team. But this newly elected “pro-gun” leadership team actually did much to stall the substantive pro-gun bills being passed across the country and that Minnesotans want to see enacted into law, bills like Stand-Your-Ground and Constitutional Carry. And after being sucker-punched by the very folks supposed to be fighting FOR gun owners, many gun owners are signaling that they’ll be staying home in November. Bottom line: gun owners need to make strong advances in the Senate AND House to be better positioned for whatever the results are in November, whether we’re able to go on offense or whether we’re forced to stay on defense. That’s why we’ll be focusing on select races in both chambers in the coming elections. As you may remember, Minnesota Gun Rights did a thorough candidate survey program in Minnesota earlier this year to establish, objectively, where the candidates stand on the issues surrounding the 2nd Amendment. We want to know where they stand on Constitutional Carry. We want to know whether or not they’d oppose a statewide gun registry under the guise of universal background checks. If Senator Latz and his ilk are ever able to get a ban on modern rifles on the floor for a vote, would they vote for or against it? You see, every candidate running for office here in Minnesota claims to be pro-gun at election time. So it’s not enough for us to simply take a candidate at face value – they have to put those views on paper via our survey. 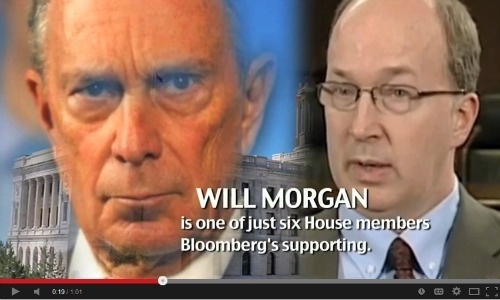 We’ve seen some candidates, like former Representative Will Morgan, claim to be pro-gun at election time and then be hand-picked by Bloomberg for an endorsement! So while there are some races that we’d like to be involved in, we simply can’t since the candidate claiming to be pro-gun absolutely refuses to sign his candidate survey. Everyone knows that Senator Kari Dziedzic is one of the most reliably anti-gun zealots in the Minnesota Senate. She is opposed to anything having to do with expanding the 2nd Amendment. But that doesn’t mean that we are going to spend any of our precious donor dollars exposing her in her district. It’s not because we wouldn’t like to, but Senator Dziedzic represents district 60, a metro Minneapolis district where people support radical gun control. No, not everyone. We have tremendous supporters in these areas, but the math is just against gun rights in this portion of Minnesota. In fact, in her last election she earned 77.4% of the vote! There is no way that spending donor dollars in this district would be responsible. On the contrary, the number of pro-gun voters in Senate District 2 – home of anti-gun Senator Rod Skoe and his challenger Paul Utke – is HUGE no matter which party affiliation people claim! What’s more, with the percentages of votes being far closer to 50/50, the issue of gun rights can have a far greater impact on election night. Make no mistake, we’re a non-partisan issue organization so that party angle means little to us, but with numbers that close we can certainly be effective at holding Skoe accountable and exposing him in front of his district! The voters in that district may choose to take decisive action by removing Skoe from office, just like gun owners have done in races all over Minnesota where we’ve educated them on the facts! Similarly, in Senate District 51, home of anti-gun State Senator Jim Carlson, the candidates are locked in a virtual dead heat – meaning that our work to educate gun owners will be devastatingly effective! So when you take into account the national political climate, the possibilities of either party controlling either chamber of the legislature, the most effective body of the legislature for us to be able to defend and advance gun rights, then overlay that with the races where we have a pro-gun candidate against a gun-grabber, then apply some basic district analysis, there are a handful of races where we can most effectively focus our efforts. Senate District 2 – Senator Rod Skoe, Chair of the Senate Taxes Committee, member of the powerful Rules Committee and the man who joined with Senators Latz and Pappas to vote against Constitutional Carry on the floor of the Senate. Senate District 51 – Jim Carlson, a powerful member of the Senate Commerce Committee and the chief author of Bloomberg’s “Gag Act,” a legislative attempt to crush free speech by pro-gun organizations at election time, prohibiting pro-gun organizations from exposing anti-gun records to voters. Carlson also voted against Constitutional Carry. House District District 49B – Paul Rosenthal, a powerful member of the House Public Safety committee and one of only 6 Minnesota legislative candidates to ever receive an endorsement by Bloomberg. House District 31B – Susan Larson, a candidate who refuses to pledge opposition to Bloomberg’s Universal Gun Registration agenda, who’s facing off against a solidly pro-gun candidate. There are additional defensive races that we have to be involved in as well, where pro-gun candidates are under attack for standing up for the 2nd Amendment. After all, to be able to pass pro-gun legislation gun owners have to keep strong leaders in office. While there are a number of races that some want to see Minnesota Gun Rights get involved in, by educating gun owners about where the candidates stand, the races above represent the most effective use of our limited resources. That’s not to say that if we fully fund our program in these districts that we can’t expand to tier 2 level races, but we must mount a major effort here, to hold these legislators accountable for killing Stand-Your-Ground and Constitutional Carry legislation and for attempting to crush pro-gun voters! For those that know how to do it right, direct mail is a devastatingly effective way to inform and mobilize gun owners about the difference between the candidates. It allows us to break down the anti-gun votes of the incumbent and give a detailed overview of where the pro-gun candidates stand based on our candidate survey program. 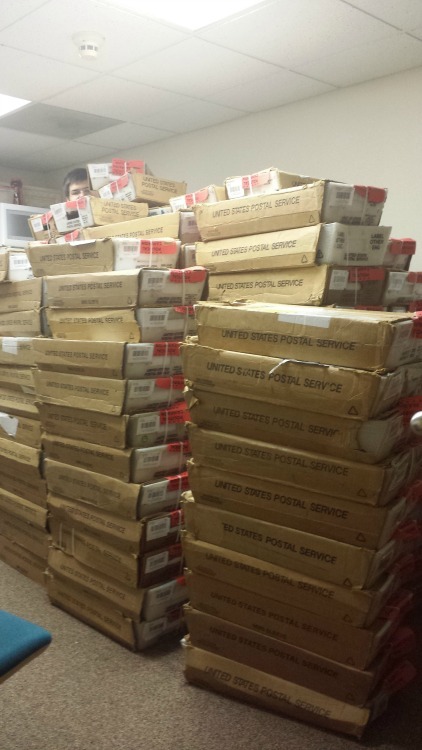 We’re planning on a massive direct mail program – even larger than the one you see pictured below. Having the largest political social media platform in Minnesota – with over 100,000 activists on our page – means that we can get the word out about candidates fast. But our ability to focus our educational campaigns by geographical area, targeted to known 2nd Amendment supporters, is particularly devastating to anti-gunners who are trying to bury the truth about their record. Running this program, I can reach out to tens of thousands of people per district! Similar to the one you’re reading now, our emails give hard hitting facts and are jam packed with exactly the kind of information that gun owners need when deciding who they plan to back at the voting booth. Nothing beats talking to gun owners on their front step and handing them a flyer that details the history of anti-gun votes that their incumbent has cast on their behalf – the type of information that the candidates are desperately trying to hide. In addition, we are able to explain in detail where the pro-gun candidate stands on the 2nd Amendment based on their responses to our candidate survey. And, delivering literature is a lot of fun and we can engage our army of grassroots volunteers! These ‘lit drops’ are a great way to get the word out – fast! Simply put, our radio ads are the hardest hitting ads that I’ve ever heard on the air in Minnesota – a sentiment shared by many gun-grabbers who were on the receiving end of those ads. Check out this sample of an ad that we ran during the 2014 election season, just to get some of the flavor! Lots of folks run radio ads – most of them are weak and utterly ineffective. Not our ads! These ads, run on the right stations at the proper time, enable us to reach a huge number of people in the critical last two weeks before Election Day! As you can see, Minnesota Gun Rights takes our role in exposing gun-grabbers extremely seriously. This program doesn’t just happen, it’s the result of careful planning and preparation that begins well before the election season kicks off. We do it because we love it, because our gun rights deserve a full-bodied defense against any who would try to destroy them, and because our children and grand-children are counting on you and me to hold the line – to give them the same freedoms that we enjoy when they grow up. That’s why I need your help to fund this massive program. And hammering Jim Carlson on KTLK radio adds up in a hurry, as do radio ads anywhere in the state. But this is how we fight back! This is where we make sure that these anti-gunners know – and all of their friends in the legislature who will be watching – that if you mess with our gun rights, we will be there to hold you accountable! Other groups talk big about going after bad legislators, but have no follow-through whatsoever at election time. That’s worse than doing nothing, because gun-grabbers quickly learn that these folks are full of hot air and nothing else. So help us hit back – hard! Some of you are able to make a major investment in this program of $2,500 or even $5,000, as some of you already have. For all the times you’ve fumed as we were forced to pour in the calls from all over the state to stop Latz’ Universal Gun Registration from becoming law – now is the time to hit them back! For all the times you shook your head in utter disbelief as you realized that NOBODY WAS TAKING A SWING ON BEHALF of gun owners at the capitol – now is the time to hit back! What I know is that we can’t afford to let anti-gunners think that there won’t be a massive political price paid if they continue to spit on our gun rights. So please, whatever you can do, please donate immediately to help us fund the program I laid out above! P.S. Minnesota Gun Rights is planning to roll out the largest and hardest hitting issue advocacy program in our history – right in time to educate hundreds of thousands of Minnesotans about where the candidates stand. In the email above I have laid out our specific targets and why we’ve chosen to focus our resources in those districts. I’ve also laid out some of the details of our program, and the step-by-step battle plan that we intend to roll out. If you’ve been angry at Senate leadership for killing Constitutional Carry legislation – now is the time to hit back! If you’ve ever been frustrated that House Leadership refuses to advance Stand-Your-Ground protections for gun owners – now is the time to hit back!